A RARE car collection once owned by Britain’s most famous watchmaker is expected to sell at auction for £8 million. 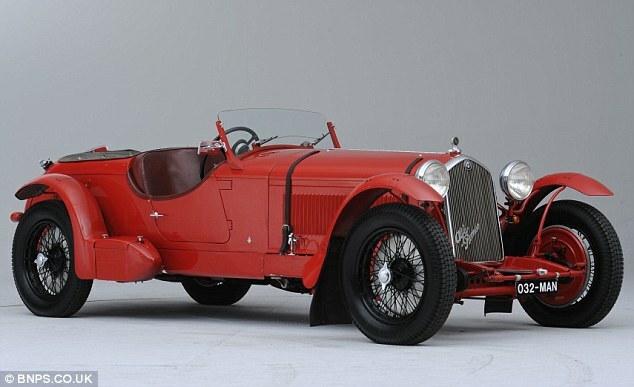 The fleet of seven classics was put together by horologist George Daniels and is due to go under the hammer at the Goodwood Festival of Speed this Friday. Probably the most prestigious lot is an ex-Sir Henry Tim Birkin 1929-32 Bentley 4½-litre supercharged single-seater, which set the Brooklands outer circuit lap record at more than 137mph in 1931. Bonhams has set an estimate of £4 million. Other highlights from the collection are a French Grand Prix-winning 1908 Itala and a 1932 Alfa Romeo 8C-2300 Long Chassis Touring Spider. A pair of 1950s Sunbeam S7 motorcycles are expected to fetch between £4,000-£5,000 each. Daniels, who died last year aged 85, was one of the greatest watchmakers of the 20th century.